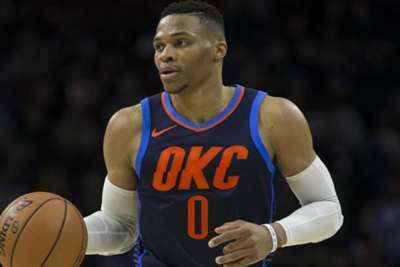 Russell Westbrook is still not fully healthy ahead of the start of the NBA season, according to Oklahoma City Thunder head coach Billy Donovan. Thunder star Westbrook underwent a knee procedure in mid-September that was expected to keep him out for at least four weeks. Westbrook – the 2017 MVP – could be off the court longer as the seven-time All-Star has not been cleared for full contact, with the Thunder due to open their campaign against champions the Golden State Warriors on October 16. Donovan said Westbrook has been participating in "controlled situations" during practice. "He's progressing. He's doing a good job," Donovan told reporters on Thursday. "I think every day for him he feels better and better." Donovan said he is not sure if Westbrook will play in the Thunder's season opener against the Warriors. "There's a lot of things we're going to have to go through to get to that decision, and there’s certain things he's going to have to go through to get himself fully cleared," Donovan added. "But he's certainly moving in the right direction and I think he's worked really hard at his rehab to try to get himself back." 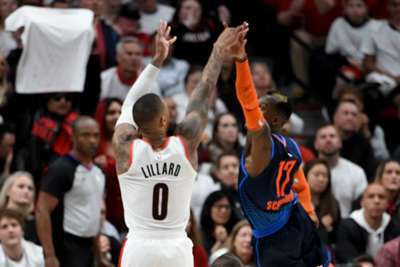 Westbrook averaged 25.4 points and 10.3 assists in 80 games last season as the Thunder reached the first round of the playoffs, losing to the Utah Jazz.